Sometime during my second year at Simon Fraser University my friend Randy and I started up the SFU DS Club. It was 5am in the morning and we were studying for a Database Systems final for that very same day. We were also high on Full Throttle to keep us awake when it suddenly dawned on us that we hadn’t programmed for ourselves or for fun in a very long time. Everything we programmed was now part of an assignment that had strict guidelines on what had to be done and submitted. It lacked a certain level of creativity and freedom that Randy and I missed. At that very moment we stopped studying and instead planned out the structure of the club. We set up different tiers within the club called T-Ber and Z-Novice to match the different interests of members we foresaw would be joining. The purpose of the T-Ber group was to provide a channel for programmers to apply and share their knowledge in developing games. The Z-Novice group would be for people to try out the games that were produced and provide feedback. In actuality, once the club got started we just ended up throwing the idea of tiers out the window. So why did we choose the DS? One of the reasons was that you’d be making actual programs that would be running on a piece of gaming hardware. How awesome is that? There were a couple of tutorials online to get into DS homebrew programming. Furthermore Randy and I both owned a DS and had already started dabbling in homebrew scene. One of the great things about the DS is that it proved that great games do not have to be built on stunning 3D graphics or complex gameplay. Instead it showed that innovation, originality, creativity and fun factor are the keys to a game’s success. 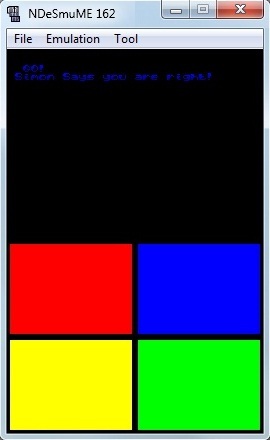 Simon Says – my first homebrew game for the DS. I basically started off simple, implemented a well defined game and focused on familiarizing myself with the tools and library for developing games on the Nintendo DS. It even had little beeps and boops for sounds. 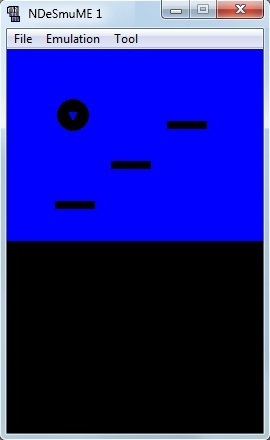 Stylus Test – this one I was playing around with detecting when a stylus was touching a particular sprite. More of a technical demo to see what I could do using the stylus. 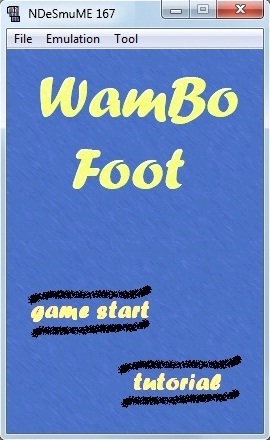 Wambo Foot – the idea behind this game was that you’d use your stylus to control a giant foot that would stomp on stuff. I had the code controlling the giant foot implemented but I never finished working on the art assets. 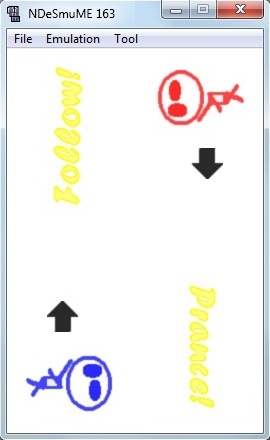 Prance Off – a two player game where you would have to out prance the other player. It was designed so that two people could play on a single DS. One person would use the d-pad and the other person uses the buttons. The game was basically like Simon Says except with a dancing theme and rhythmic element. 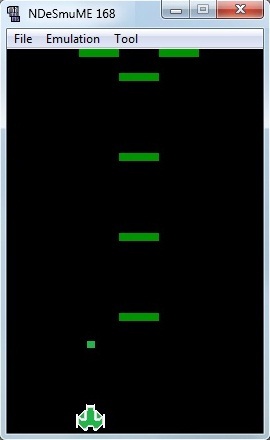 Player 1 would perform moves and player 2 would copy those moves and add one more at the end. 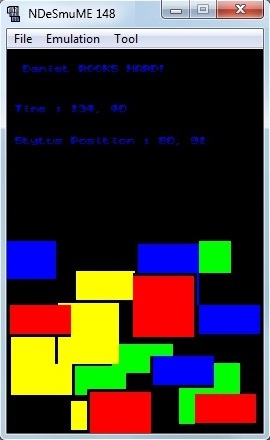 Player 1 would then perform the new dance routine and add another move at the end. This process would continue indefinitely until someone incorrectly performs the dance routine. Platformer – created a short demo to experiment with a side scrolling game. I like the idea of black silhouettes because you just need to focus on the shape, and not so much the details. Seems like an easy way for programmers to create quick art. Turns out creating recognizable shapes is quite hard. Anyways I never got further than a single stage with the player controlling a rolling ball. Project Quarth – my attempt at recreating a game I remember playing fondly on my older brother’s original Game Boy when I was a wee little boy.